The Editors' Guild of India condemned the order and said it was "gross misuse of the powers and privileges" of legislature. The journalists were given a year in jail and a fine of Rs 10,000 by the Karnataka assembly. 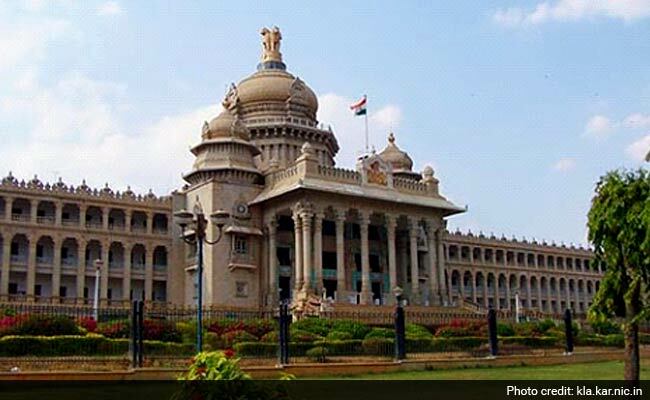 Bengaluru: Two journalists who were sentenced to a year in jail by the Karnataka assembly for their alleged "defamatory" articles against legislators have approached the Karnataka High Court challenging the order. The two have sought quashing of the resolution which they called as "illegal and unconstitutional". The petition also said that legislators don't have any power to award a jail term. The court is likely to hear the petitions tomorrow. The journalists, Ravi Belagare of 'Hai Bangalore' and Anil Raj of 'Yelahanka Voice', were given a year in jail and a fine of Rs 10,000 in a unanimous resolution - a first in the state's history. They went missing after the Karnataka police said they would arrest them as per the order. Neither journalist has been arrested yet. The alleged defamatory articles, published a few years ago, were about Speaker KB Koliwad and a few lawmakers, one of whom is a member of the Privileges Committee which recommended the punishment. The Editors' Guild of India condemned the order and said it was "gross misuse of the powers and privileges" of legislature. The decision, it said, also violates "the Fundamental Right of Freedom of Speech guaranteed under the Indian Constitution and the Freedom of the Press". It has also urged the assembly to withdraw its resolution "without delay". Congress and BJP MLAs BM Nagaraju and SR Vishwanath had last week raised the issue in the House and recommended action against the journalists. The journalists and the guild asked how Mr Vishwanath could be both complainant and judge. Kimmane Ratnakar, who heads the Privileges Committee, said Mr Vishwanath was not present when the panel questioned Mr Raj. The sentencing violated the norms of natural justice, the duo said, as the Speaker didn't give them sufficient hearing opportunity before levelling charges. "Proper notices were not served to the editors," the petition said. The Congress government of Karnataka distanced itself from the order. "The government has no role to play in this. There was a complaint by an MLA and the Speaker had referred it a legislature committee," state law minister TB Jayachandran told NDTV.